Popular with trailrunners, Boulder County Open Space and Mountain Park's Doudy Draw trail has some of the best views of the Flatirons as well. 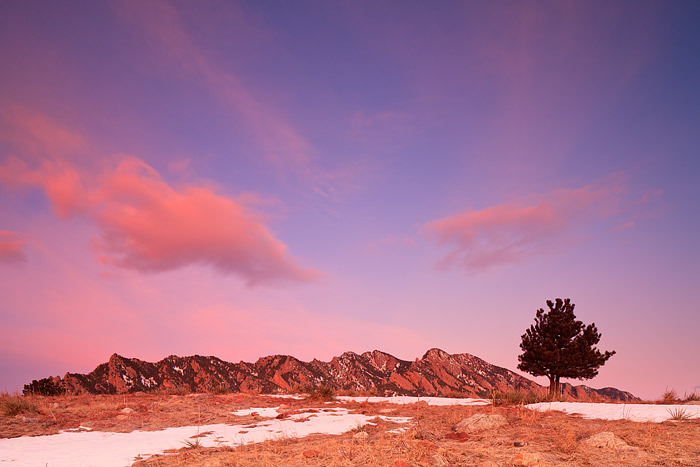 The winter weather pattern over Boulder can create some awesome cloudscapes which translate into beautiful sunrires. Photo © copyright by Thomas Mangan.